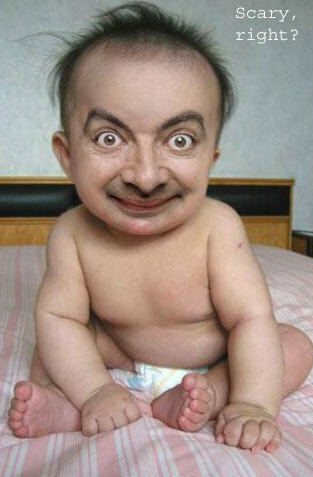 If Mr. 豆 had a Baby.... A series of 'If Mr. Bean...' pics. Wallpaper and background images in the ランダム club tagged: random picture funny mr. bean photoshopped hilarious photos. ummmmm...i honestly have no comment.